The Zippie Salsa M by Sunrise Medical delivers great outdoor performance and excellent indoor manoeuvrability along with multiple seating and powered options, to ensure your child has a perfect combination of function, performance and most importantly fun. 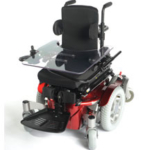 The standard Zippie Salsa seating system offers massive adjustment for the seat depth, width and height and also features a height and depth adjustment in the armrests and angle and depth adjustment in the footplates the seat and backrest are also angle adjustable for improved comfort. The Zippie Salsa seating really does allow your child to grow with it. 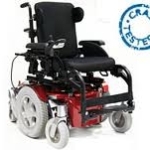 When the ultimate in manoeuvrability is required, select the mid wheel drive Zippie Salsa M. The Zippie Salsa M is a great indoor performer thanks to its compact design and ultra compact turning circle. 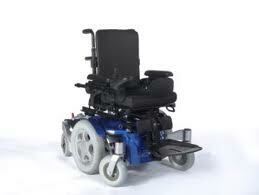 A narrow width of just 60cm (24”) and low seat height make access very easy. 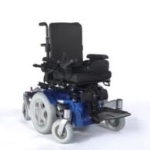 The Zippie Salsa M performs as well outdoors as it does indoors, featuring a unique suspension system that delivers a smooth, safe and stable ride even when travelling over slopes and uneven surfaces. The Zippie Salsa M is also capable of overcoming obstacles of up to 7.5cm (3”) and has a range of up to approximately 16 miles. 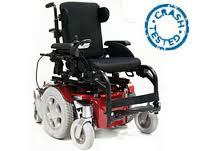 Or take a look at the rear wheel drive version the Zippie Salsa R for great all round performance. 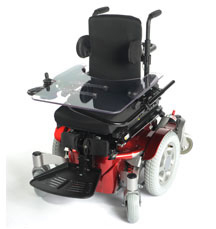 Both of these powered wheelchairs have powered options available including Seat Tilt, Seat Lift and Tilt and also powered Seat Recline. Thanks to the modular nature of the Zippie Salsa R and Zippie Salsa M, these powered options can also be added after purchase via retro fit kits. This also means if your child’s needs change, the Zippie Salsa R and Zippie Salsa M can be easily adapted. There are many different options available to these chairs. Mirror and lots more . . . including a choice of colour option. If you have any questions regarding the Zippie Salsa M or would like to book an appointment to be assessed please do not hesitate to contact us on 0330 0581 008 (Local call rates apply) or FREE PHONE 0800 626 829 or complete the form on this page and we will get back to you.